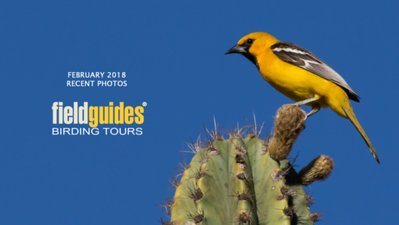 Our February Recent Photos Gallery begins with this lovely Streak-backed Oriole by guide Doug Gochfeld from our Oaxaca tour over the holidays. 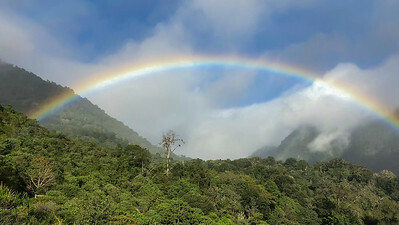 This month we're sharing images from tours to Costa Rica, Panama, Colombia, Trinidad & Tobago, Guyana, Ecuador, New Guinea & Australia, and Vietnam. Enjoy. 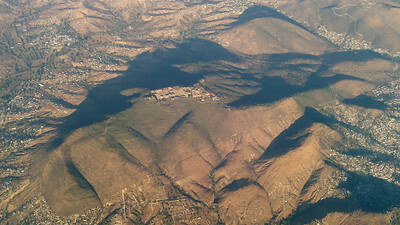 Guide Dan Lane snapped this shot from the plane looking down on Monte Alban -- one of the impressive cultural sites we visit -- which dominates the mountaintop. Monte Alban was the center of the Zapotec culture for more than 1000 years but fell into decline circa 500 AD. Photo by guide Doug Gochfeld. 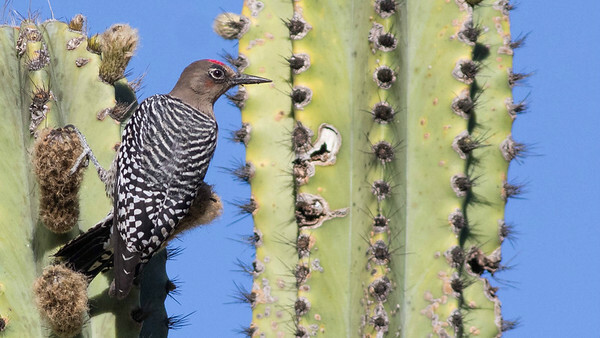 One the fabulous endemics in the Oaxaca region is this Gray-breasted Woodpecker. Photo by guide Doug Gochfeld. 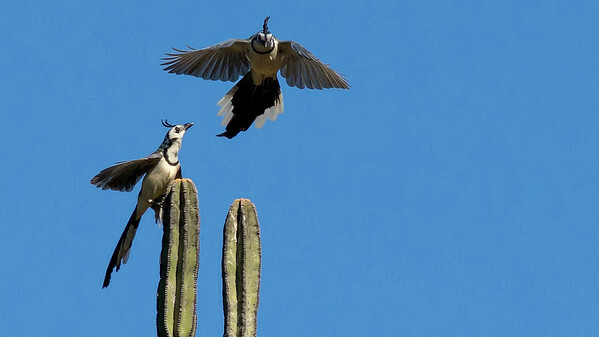 White-throated Magpie-Jays are big, bold, graceful, and give a huge variety of vocalizations. Photo by guide Doug Gochfeld. 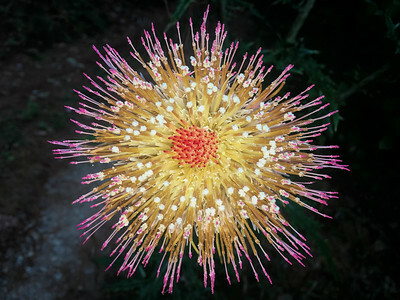 Guide Doug Gochfled captured this stunning image of a thistle. 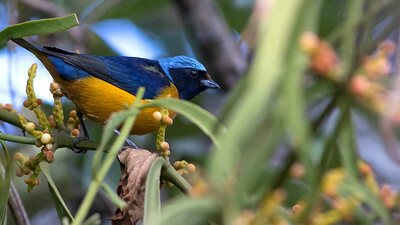 There are blues, and then there is the cap on an Elegant Euphonia! Photo by guide Doug Gochfeld. 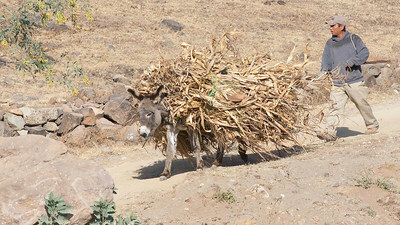 Those stalks aren't walking themselves; there is a burro under there. Photo by guide Doug Gochfeld. 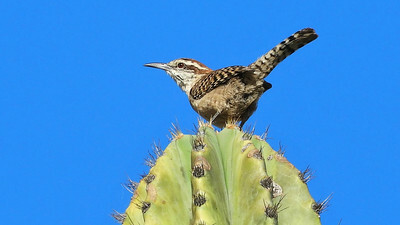 Here's a Rufous-naped Wren holding a spiny perch -- a giveaway to the dry habitats these birds prefer. Photo by participant Jan Mersey. 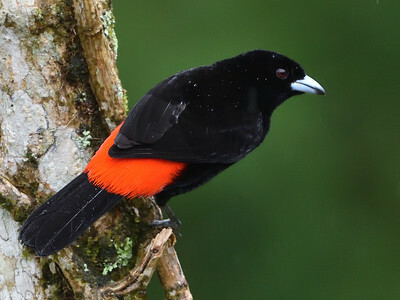 That ridiculously vibrant rump belongs to a Passerini's Tanager. 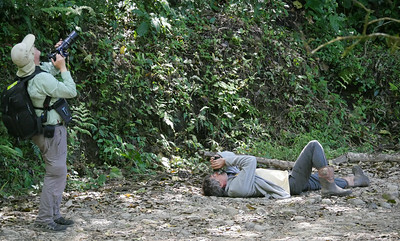 This image from participant Doug Clarke is the first in a set from our Hoilday Costa Rica: Rancho Naturalista tour. 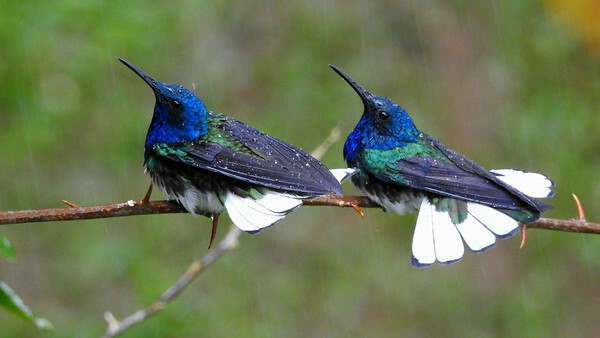 What's better than seeing a male White-necked Jacobin bathing during a brief shower?...Two males on full display! Photo by participant Max Rodel. 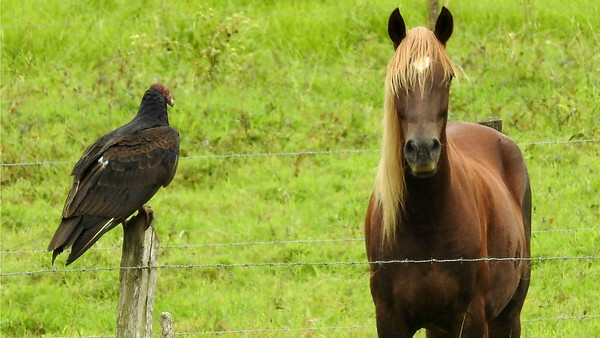 "What did the Turkey Vulture say to the horse?" Photo by participant Max Rodel. 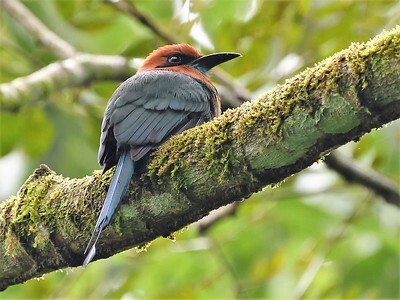 From this angle, it is easy to see how Broad-billed Motmot got its name. Photo by participant Doug Clarke. 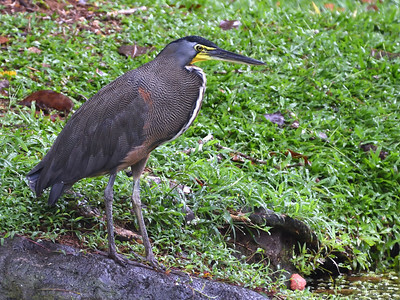 We couldn't have asked for a better look at an adult Bare-throated Tiger-Heron and its lovely feather pattern. Photo by participant Doug Clarke. 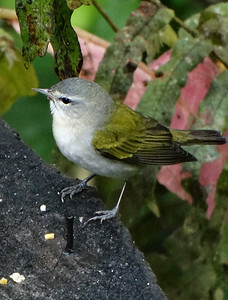 A Tennessee Warbler was hanging around a feeding station, very unlike its behavior on the breeding grounds. Photo by participant Keith Jackson. 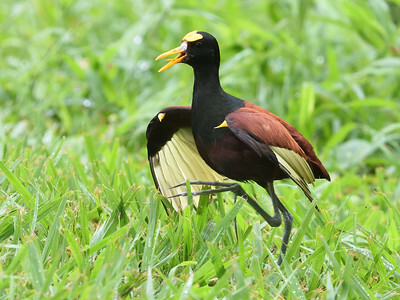 This cool photo of a Northern Jacana by participant Doug Clarke shows all the special features of these birds: incredibly long toes, fearsome wing spurs, yellow flight feathers, and bare forehead wattle. 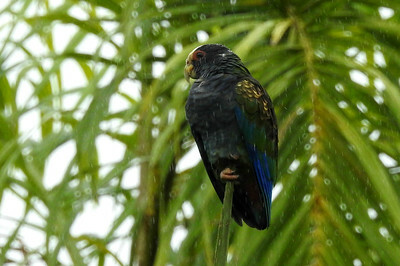 The somewhat sombre plumage of this White-crowned Parrot seemed fitting for a drizzly day. Photo by participant Max Rodel. Next stop is Western Panama. 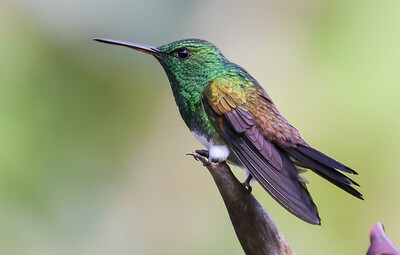 In this area, brilliant white belly and booties against a green breast equals Snowy-bellied Hummingbird. Photo by participant Mark Schocken. 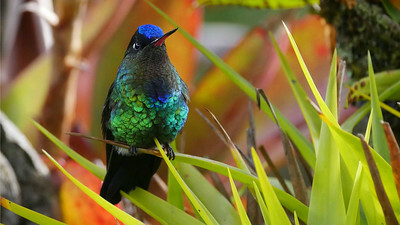 This crisp photo of a Lesser Violetear (formerly part of Green Violetear) also came from participant Mark Schocken. 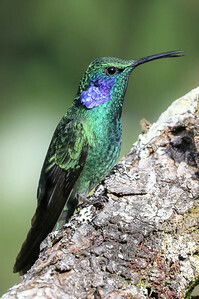 The large size, decurved bill, and big white tail tips make this a female Violet Sabrewing. Photo by participant Mark Schocken. 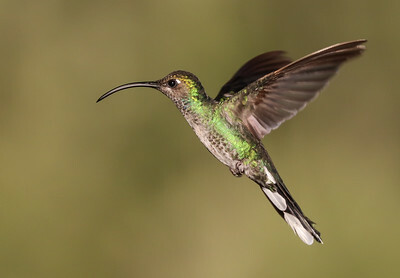 Their gorget gets all the attention, but check out that indigo on the forehead of this Fiery-throated Hummingbird! Photo by guide Jesse Fagan. There is something adorable about the blank face of a Collared Redstart. Photo by participant Chris Wood. 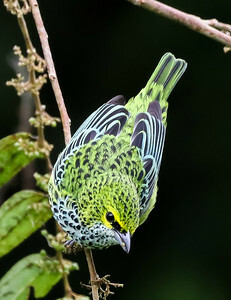 Here is a marvelous Speckled Tanager from participant Mark Schocken. Participants Dan Strickland and Mark Schocken are working all the angles to tease out the birds feeding in a fruiting fig tree. Photo by guide Jesse Fagan. A vivid full rainbow was a real treat at the end of some rain. Photo by participant Chris Wood. 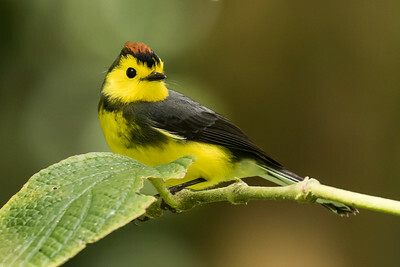 Staying in Panama, here's a collection of images from our Panama's Canopy Lodge tour. 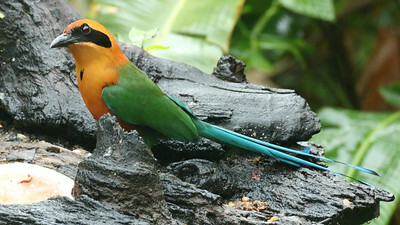 Pumpkin might be a better descriptor for Rufous Motmot. Photo shared by participants Andrew & Rebecca Steinmann. 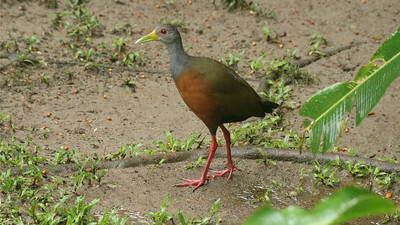 This Gray-cowled Wood-Rail obligingly stepped into the open for us. Photo by participants Andrew & Rebecca Steinmann. 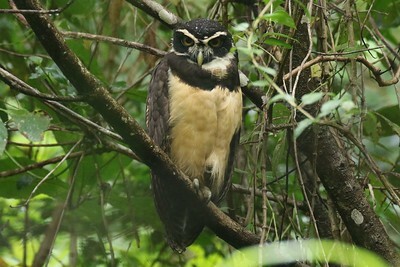 Spectacular and unmistakeable: Spectacled Owl, by participants Andrew & Rebecca Steinmann. 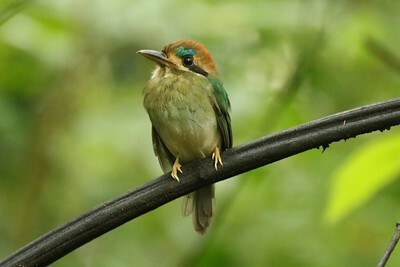 We were pleased to have such a great look at a diminutive Tody Motmot. Photo by participants Andrew & Rebecca Steinmann. 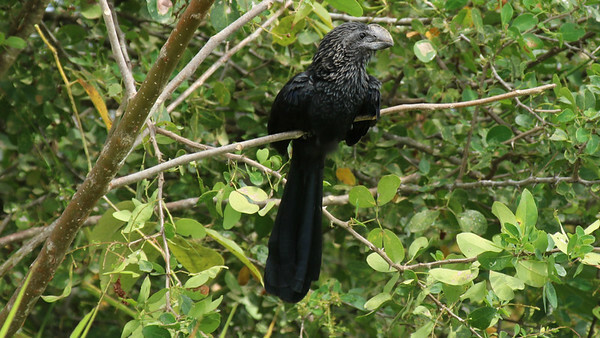 Smooth-billed Anis sport an impressive tail. Photo by participants Andrew & Rebecca Steinmann.